Although installing Kameleoon via a <script> tag is very easy, many particular situations can occur. This guide details the various ways Kameleoon can be integrated to your own website, given your specific technical setup. Keep in mind that the main problem when using an advanced integration is that it can negatively affect the load of the Kameleoon script and introduces a noticeable flicker effect. Flickering means that the variation will load on the page shortly after the original page displays. The only exception to this rule is, of course, the use of a Tag Management System, since you won't directly need to edit your HTML code. Note : This is the integration method recommended by the Kameleoon team. This ensures that page loading is not blocked while scripts are downloaded by the browser. In addition, ideally, scripts that are important should be loaded at the top of the page, and scripts that are less important or that can afford to wait should be loaded at the bottom. A script is loaded asynchronously when the browser doesn't wait for the script to load to display the requested page to the user. Consequently, an asynchronous script loads in parallel with the loading of the page, and doesn't prevent it from being displayed. We offer two different ways to load Kameleoon asynchronously. 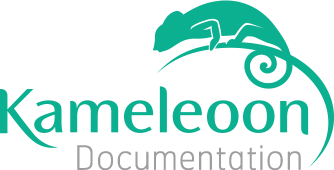 The timeout after which the page is displayed even if Kameleoon is not yet ready, is customizable and controlled by the variable kameleoonLoadingTimeout in the script below. Its default value is set at 1000ms. If a timeout indeed occurs, the original, unmodified version of the page is instantly displayed, and Kameleoon continues to try loading in the background. You can choose what happens if/when Kameleoon finally loads. To do so, log in to your Kameleoon account and use the left menu to access the “Configured sites” page. You will see the list of websites you have configured with Kameleoon. Click on "Advanced configuration" below your domain name. Run Kameleoon (with flicker): By default, A/B tests or web personalizations will be launched, even in case of timeout. As a result, a noticeable flicker effect can occur. Disable Kameleoon for this page: This option will disable Kameleoon for the current page, from which a timeout has occured. Disable Kameleoon for the entire visit: This option will disable Kameleoon for the entire duration of the visit. Kameleoon is compatible with all major Tag Management Systems (TMS). However, if possible, we recommend to install Kameleoon directly in the source code of your website, and not via a TMS. The reason for this is again related to the flicker effect. Using a TMS delays the load of Kameleoon and increases flickering. This is especially problematic if your TMS is loaded at the bottom of your HTML page. If you use a Tag Management System (such as Google Tag Manager, Tag Commander, etc), you should not use the asynchronous with anti-flicker script as it is not designed to work within a TMS. You can either use the standard asynchronous script or the synchronous one. However, inside a TMS, loading synchronously is not possible, so the synchronous code will act as the asynchronous one. Be also careful not to instruct your TMS to cache and combine the Kameleoon script, as the script contains a dynamic part (the data needed to represent the currently running web personalization). If your TMS caches Kameleoon, you won't be able to run any web personalizations. Note : You do not need wide domain support if you only run web personalizations on different subdomains (for instance www.mydomain.com and checkout.mydomain.com). Note : With wide domain support, the loading is always asynchronous, there is no way to load Kameleoon synchronously. Old Internet Explorer versions (versions 9 and anterior) do not support the async attribute of the <script> tag. If you absolutely require asynchronous loading even on these browsers, you can use an integration code that creates the <script> node dynamically. It will then load in a non-blocking way even on older IEs, but has an important drawback. Since the <script> is not treated by the HTML parser, all other resources that are hardcoded in the HTML code, even later, take precedence and are placed higher in the browser download queue. This means Kameleoon loading is significantly delayed, thus increasing the risk of flicker or timeout. Also, don't forget to specify in your Kameleoon back-office the domain you created. Otherwise, you won't be able to upload and use images in your variations. You will see the list of websites you have configured with Kameleoon. Click on “Advanced configuration” for the website of your choice. Scroll down to the "Custom URL CDN" section and add the URL of your newly created CDN subdomain.